We have a special sketch challenge for you today, folks! We’re being sponsored today by K ‘n K designs – which means, yes, we have prizes you can win! 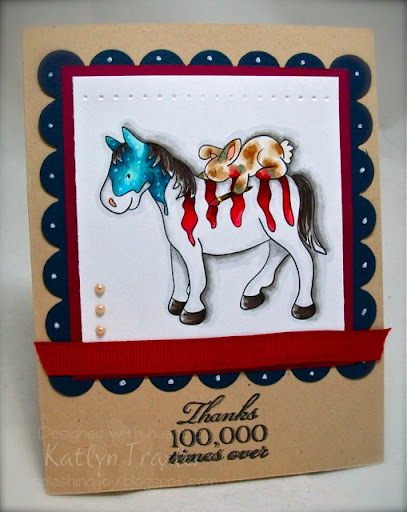 Katlyn is offering a digi stamp set to each of three lucky winners: Americana Horse, Little Teddy, and Valentine Kolar. To be eligible to win, make a card with this week’s sketch and link it back up here by midnight Pacific time, Saturday September 17th (yes, you get two weeks!) The winners will be determined by random drawing and will be announced on the September 18th Sketch Challenge. For our samples this week we set our S&S admin team loose with some KnK digis, and they came up with some fantastic cards! Thanks ladies! 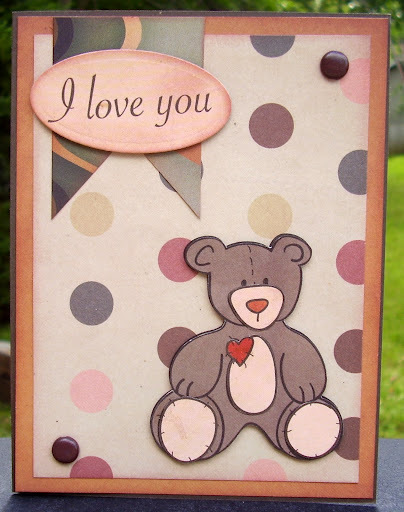 Be sure and visit their blogs – linked under each sample card – to see more of their beautiful work. Card by Paula of Handmade by Paula. Wow, that ought to give y’all some ideas! Make a card with this sketch and post it to your blog or online gallery, then link it back up here for a chance to win a digi stamp set! Impression Obsession is starting us off on the right foot – go check out their blog for a chance to win a $25 gift certificate to their store!! Be sure to go leave Mitra some love on their challenge blog! CASE the cardmaker! 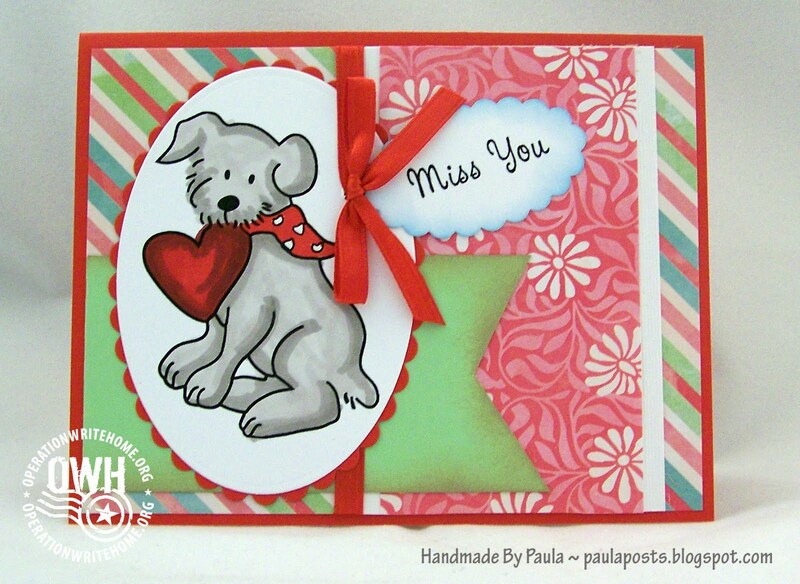 Right here on S&S…use the featured cardmaker’s work as your inspiration and leave a link to your card in the InLinkz on the main post. Prize: $20 Gift Certificate from Circle B Enterprises! Winner will be announced next Friday morning! 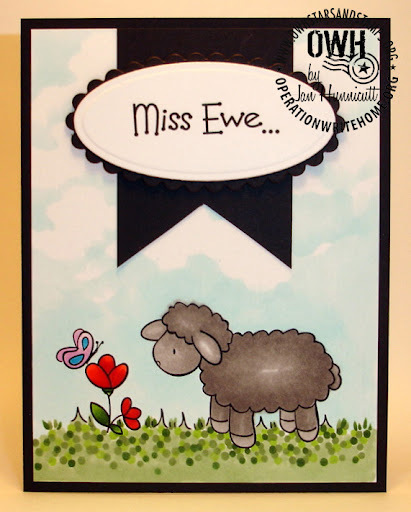 Keeping an Eye on You: Sponsored by We R Memory Keepers – make a card with brads or eyelets! The prize: Cropadile kit! Sketch sponsored by KnK Designs! Wow! What wonderful samples ladies! I couldn't pick a favorite if I tried! I do want to point out the clever use of the teddy digi on Samantha's card – a GREAT example for the versitility of digital images! Thanks for the great prize offerings for this challenge K'nK! 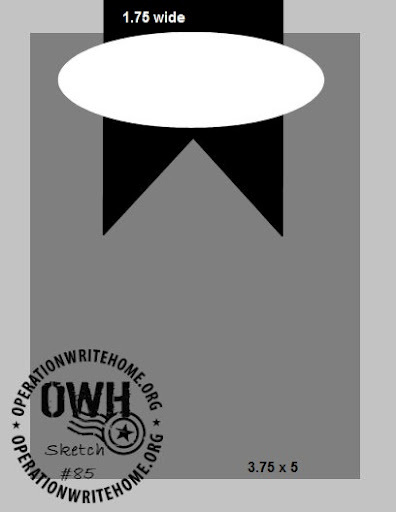 Three prizes will really share the love for OWHers! Cute Cute Cards! I hope to play today! !PS: At first I thought I was on the wrong site, but have to say I kind of like the new look!! Thanks to a great sketch and wonderful example cards. I have struggling trying to get sentiments on some of my cards, and this sketch works really well for that. I know it will become one of my favorites! Thank you very much for the wonderful sketch and the great samples. Love the KnK designs. This is a great sketch! I know I will be using this one lots. Thank you! I have to say for me, this sketch was harder than it looks…you all did such a wonderful job. Thanks for sharing.